The Burberry Prorsum Spring Summer 2012 Womenswear show took place in London's Hyde Park yesterday. 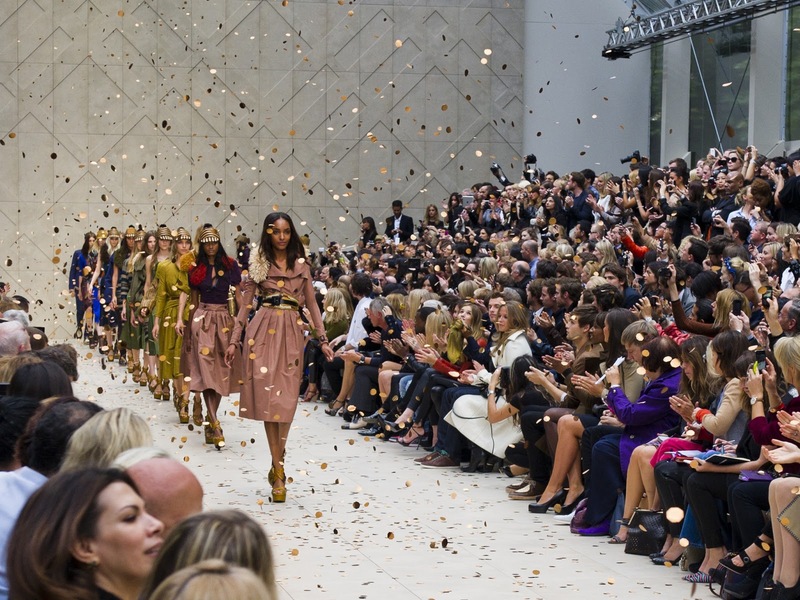 There were over 1500 guests present at the event, but the Burberry show was also syndicated live through social platforms like Twitter and Facebook. - Use of Twitter saw Burberry create the first ever live 'Tweetwalk' fashion show, with instant backstage TwitPic pictures shared through Twitter before the models hit the catwalk. This harnessed Twitter's new media gallery photo functionality and allowed Twitter users to see the new Burberry looks before anyone else. - The new Burberry collection is available to purchase directly from the live streamed video, viewers can click the stream, order and have items exclusively delivered in 8 weeks. There are many ways with which social technologies can now be used to bring real-time events to life online and the Burberry Tweetwalk is a nice example of what is now possible. First you will have to mount Instagram from Play Shop on an Android phone Instagram Sign Up Run the application and tap on Register with Facebook. You hard work is really appreciated.